Kilns marked in red are where hop growing and drying is takes place today. 28 of these are members of the Hopshires Growers organisation. Hop growing and drying flourished in Hereford and Worcestershire in response to demand from the Midlands. Soil conditions along the slopes of the valleys of the Rivers Teme, Lugg and Frome were excellent. Increased acreage and building of new kilns was especially strong in the second half of the century and continued through to1900. This was in contrast to the South East where hops peaked in the 1870s. 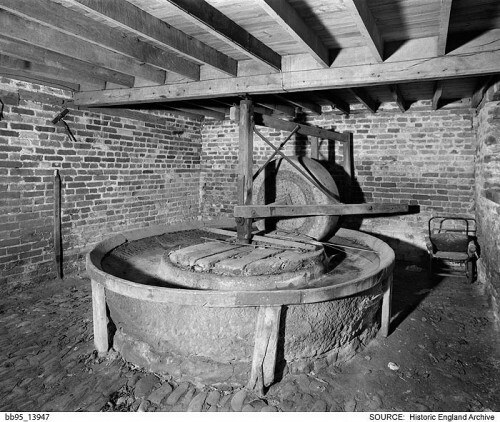 Many of surviving kilns of the West Midlands date from the later 1800s. By 1918 West Midlands production was down 56% from its 19thC peak in contrast to the 80% drop in the South East. 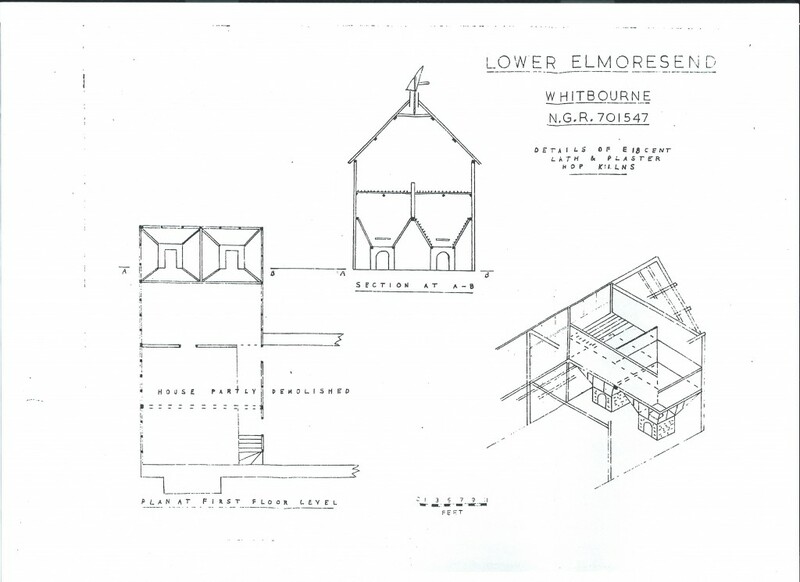 Two detailed studies were carried out in the 1990s: Hops and Hop kilns. 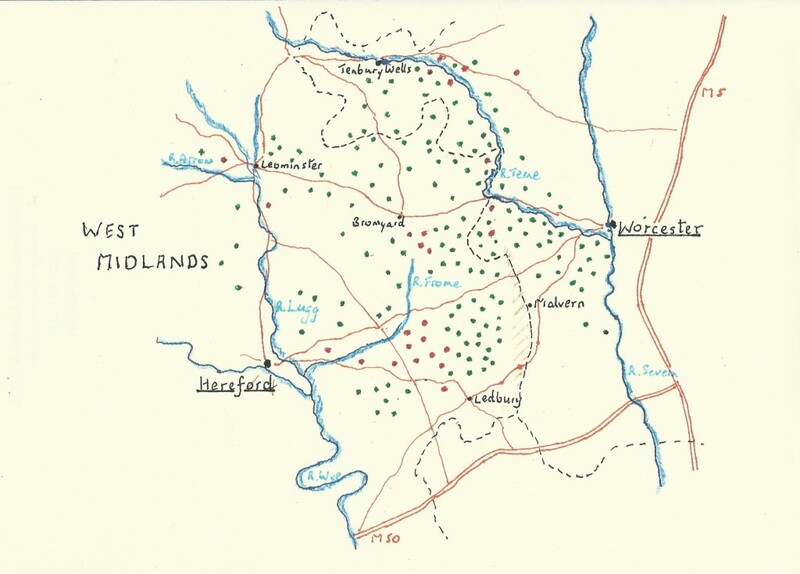 A Survey of the Hop kiln sites of Hereford and Worcestershire. 1997 by Angela Griffiths, a student at Ironbridge Institute in Industrial Archaeology (now in Worcestershire Archives) and Hop Kilns in the West Midlands up to 1900.Dr JFC Peters. 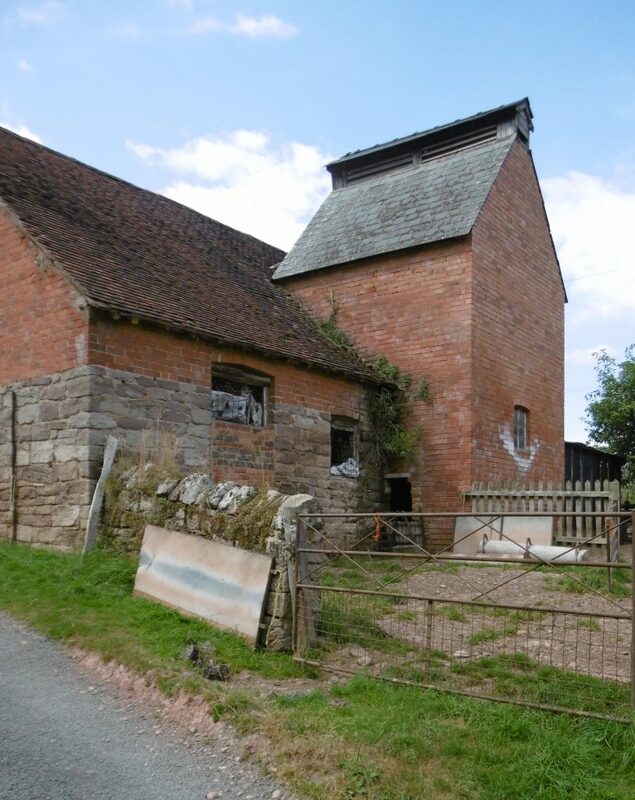 Historic Farm Buildings Group Journal 2010 (now in the Herefordshire Archives). Dr Peters identified some 350 hop kilns. Of these 95 had 1-4 round kilns and in 1 case 6 roundals. Angela Griffiths catalogued details of visits to 130 hop kilns but, like my 1960 survey, she had limited opportunity to study interiors. In addition the Bromyard History Society has been very active. 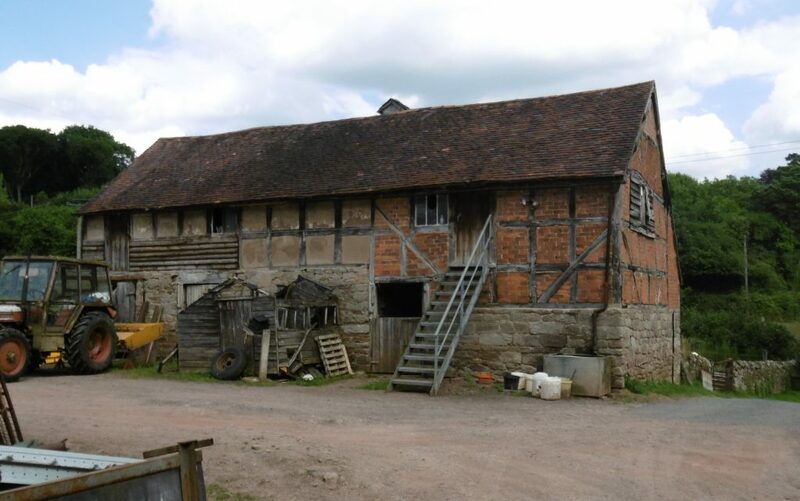 Besides publishing and keeping up to date A Pocketful of Hops, they carried out a Farm Buildings Survey of 53 farms in 17 Parishes around Bromyard. Notes and photographs from the survey are kept at the Society. Barn style kilns or “granary kilns” remained common through the 18th and into the 19th Century. 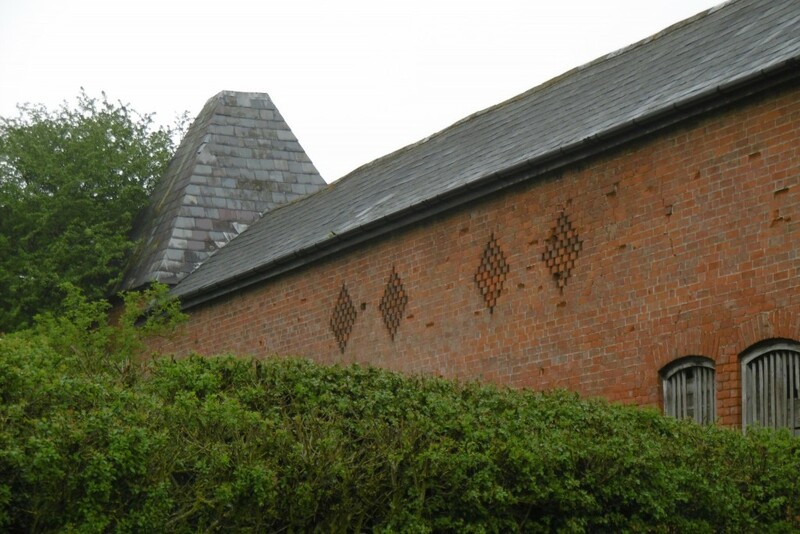 While square kilns dominate over round in the West Midlands it is not at all clear when tall pyramidal kilns with cowls were first built in Hereford and Worcestershire. Many buildings experienced adaptations, add-ons, changes of use and multiple use. 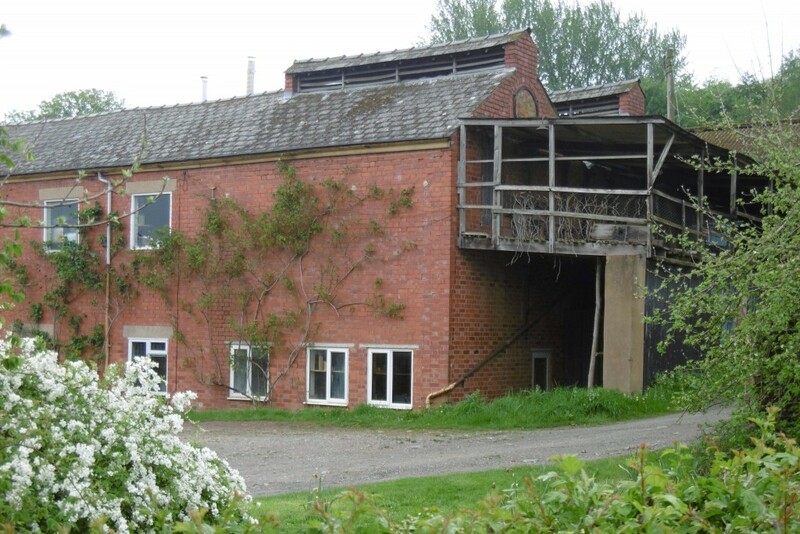 Even where it is possible to establish the date of a farm building, this does not mean that the dates when it was used as a hop kiln are evident. There are several examples of hop press holes surviving in the ceilings of farm houses, demonstrating ad hoc use of the home for drying. In addition there was overlap between hop drying and apple pressing which shared space in the stowage. 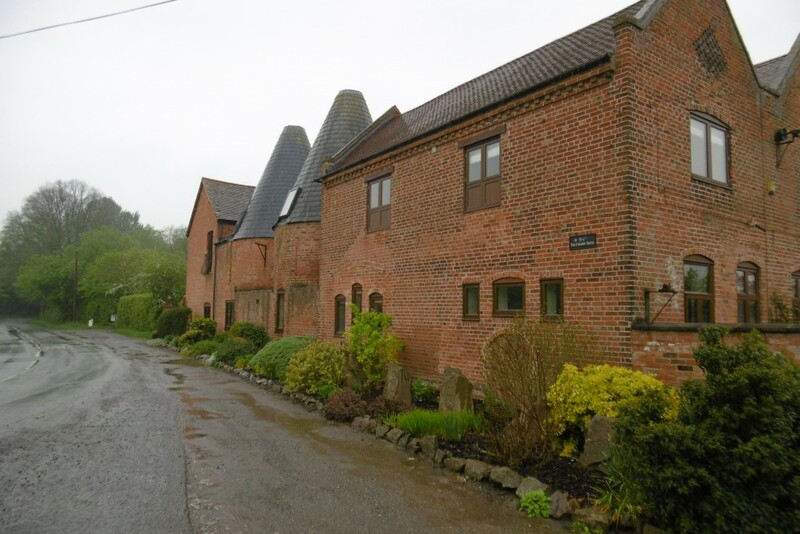 .One example is at Little Cowarne Court Farm, SW of Bromyard. Finches Farm, Whitbourne. a 17th-18th C farm building to which a hop kiln was added. Round and square kilns are often found side by side on the same site , no doubt because growers added new kilns at intervals (see picture of Brockamin above). Use of slate rather than tiles for roofing was widespread). 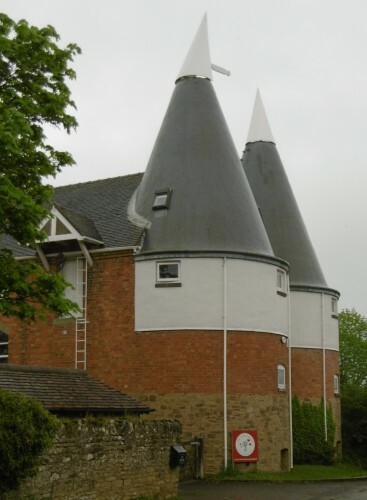 Oblong roofss, topped by a long louvred vent are much more common than in the South East This worked well with the hopper “inverted pyramid” type of kiln which came in from the South East in the later 18thC. It is illustrated in this diagram from Angela Griffith paper, based on a hop kiln at Whitbourne on the banks of the River Teme. Clean burning anthracite or coke was available from relatively close by. The fuel was know as charks and was brought by horse drawn wagon on a tough journey over poor, hilly roads. This may be the reason why there seems to have been less investment in closed stoves and piping systems than in the South East. Mitchells, Stuckley, an important hop parish on the northern edge of the Malvern Hills. Note the height of the kilns which will have allowed for a drying floor high above the furnace and maximum draught. 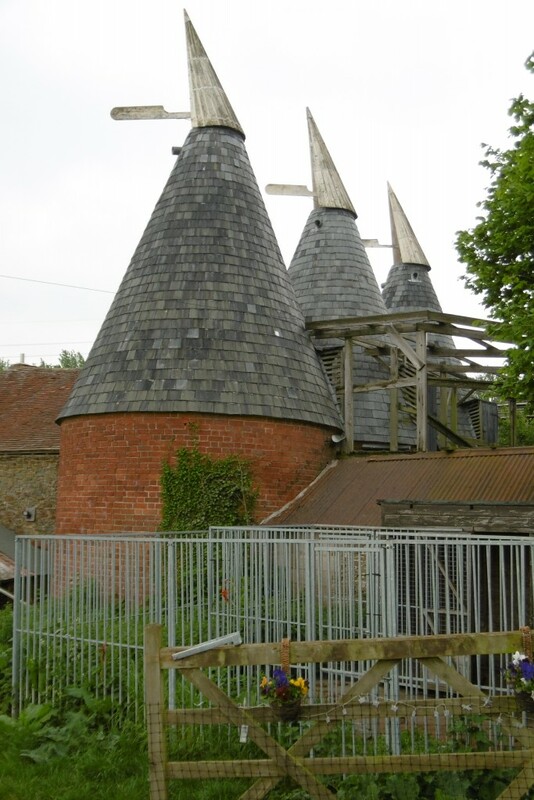 There was great diversity in shapes and sizes of hop kilns in the West Midlands. Like all other 19th C buildings of the area they were constructed with the dark coloured brick so typical of the West Midlands. Use of weatherboarding and wood beams which continued in the Weald was rare. The attractive diamond shaped pattern of ventilation holes in the stowage walls is also typical of farm buildings of the area. Leigh Court Farm, west of Worcester. Converted to a dwelling in hhe 1980s. Part of a fine set of farm buildings including the largest medieval tithe barn in England. Note the elegant dental course along the eves. Shucknell Court, Herefordshire. Low level drying floors, following the 18th C pattern, with louvre vents. An open, wooden “greeenstage” to receive the hops for drying was common in the West Midlands and is well illustrated here. Larport, near Hereford. 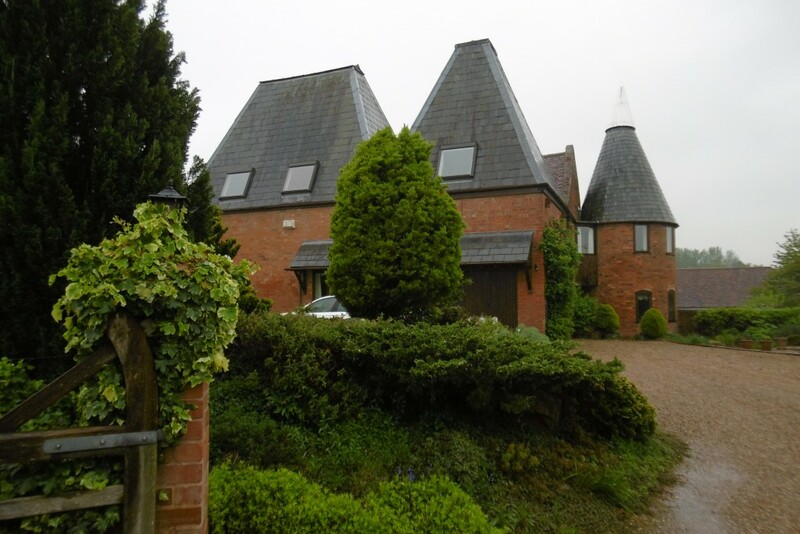 The typical more pointed West Midlands cowl and Welsh slate roof. No elaborate brick work round the eves of the kilns.